Jim Custer was basketball and wrestling coach at tiny Durand High School in 1943 when Pekin High beckoned to him. His impact on the state wrestling scene followed quickly. Once he settled in at his new job, his teams dominated the Mid-State 8 almost every season until he left coaching in 1967. Once the Midstate 8 was formed, Custer's teams won every conference title until he retired except for 1965. And success didn't stop there. His teams also swept every lllini and Big 12 conference meet again except for 1965. 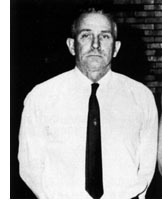 Pekin won every district title between 1957 and 1967, there were seven sectional titles beginning in 1954 and he finished with a dual match record of 268-59-2. At the state level Custer had one second place team finish, two fourth place and one sixth place. He had six state champions between 1946 and 1967, nine second place finishers, five third place finalists and four fourth place finishers. One of his athletes, Don Millard, won the NCAA championship at 167 pounds while competing for Southern Illinois. 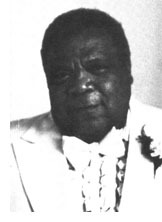 Custer, an Illinois State graduate and wrestler, was named to the Illinois Wrestling Hall of Fame in 1974. He was a member of the Illinois Wrestling Advisory Committee for three years and was Grand Marshall for the Illinois state high school finals in 1978.